Is HairLoss Affecting Your Work Negatively? Never before in the history of mankind has the aesthetics in men become so important. Throughout the history men were known sought after for their valour and wealth. In the last 100 years slowly the world has changed. Men have moved from war fields to board room meetings. The battle is fought by presentations and seminars/conferences. The focus is now on how you present yourself or your product or services. In presentations what you present is important but it is your body language and your appearance which seals the deal for you. The appearance of men becomes a critical factor for their success in the office and outside the office. Experts suggest different hair styles for men for different occasions. Men are spending more and more time standing in front of the mirror. Before leaving for work men always have a last look on their hair style and one always do a final touch up of hair style. Hairs have attained a central stage in the appearance of men. However expensive accessories one is loaded with but it is your hairstyle you correct before meeting someone. Whether you go to college, office, field job or any party, it is your hair which give you the “You Look”. Many of us have suffered various hair problems during some stage of our lives. Among all hair problems it is the baldness which is the scariest of all. It is nightmare for every young working individual. When our hair density falls and hairloss is noticeable, hell breaks on us. From the time hairloss becomes noticeable we start living under constant fear. The fear of becoming completely “bald”. Day in and day out we become more and more worried of our hair loss problem. We start searching for the solution of our hairloss. With days we become more restless and desperate to get treatment for hairloss. So what is there so important with hairloss that we become so desperate to get it treated? 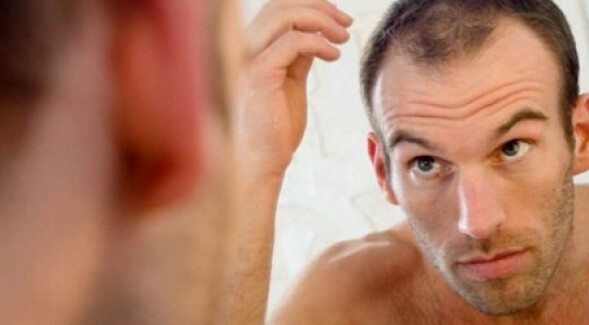 Hairloss is the biggest threat to a man’s personality. It changes the whole look of a person. The person starts looking aged and “weared out person”. The family members start getting worried and take peer reviews to find some solution for your hairloss. People start getting their eyes glued to your bald scalp while talking to you. You start feeling embarrassed to out to your family functions and parties. Your friends start asking questions to you that why are you having this hair loss? Is everything right in your family or business? Your baldness starts getting discussed behind your back. Some of the closed friends start making fun of you. You are bombarded with advises to treat your hairloss. Even your clients start giving you free advices for hair loss. Everywhere you go you will start noticing that people are now talking your head. In your work place people start talking about your hair problem. You start getting reclusive and become less interactive with your colleagues. You start getting nervous about delivering presentations. Less generous people start teasing you and commenting about your hair loss problem. You start getting less comfortable talking to girls and the conversations sometimes get directed towards your hairloss problem. You start feeling less comfortable in board meetings. You also start feeling less comfortable in meeting clients specially new clients. Because of your hair loss problem you become less aggressive in sealing a good deal or start getting frustrated during the negotiations. You feel that the whole world around you is talking to your shiny head. This hair loss problem can many times reduce your career growth. Because of hairloss you start feeling less comfortable in the office parties. Someone or the other will come to you during the party and start discussing your hair loss problem. Some will suggest you various treatments for hair loss. Some who find nothing more worth discussing with you will start discussing your hairloss problem to kill some time during the party. In brief the hair loss problem starts harming you in your work directly or indirectly. Studies have found hair loss problem as one of the causes of reduced work efficiency. We at Hair Science Centre are there to help you overcome this problem of hair loss. We have both medical treatment and surgical treatment for your hair loss problem. We offer hair loss treatment solution for those who want Ayurvedic or homeopathic treatment for hairloss. Hair Science Centre is one stop solution to all your hair problems.